California has produced many fantastic fighters throughout the years from Chris Holdsworth and others. In today’s episode of Across The Pond, you will meet a tireless grinder looking to take the expansion of Women’s MMA in the UFC to new heights. A professional since July 2015 and representing Alliance MMA, Lauren Mueller owns a 4-0 record consisting of three decisions and one submission. Lauren was one of the only women to receive a UFC contract during the inaugural season of Dana White’s Tuesday Night Contender Series. In her MMA debut, Lauren defeated Peggy Ross via unanimous decision. She defeated Faye Shields at Gladiator Challenge MMA Smackdown. At Gladiator Challenge Freedom Strikes, Lauren defeated Hannah Fitzpatrick via unanimous decision. 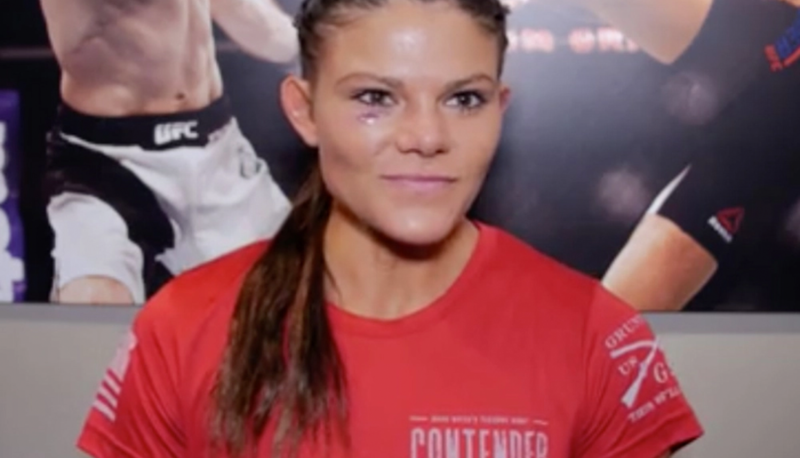 At Dana White’s Tuesday Night Contender Series 8 she defeated Kelly McGill- Velasco via unanimous decision and punched her ticket to the UFC in the process. This California prospect is about to hit the UFC like a tidal wave!